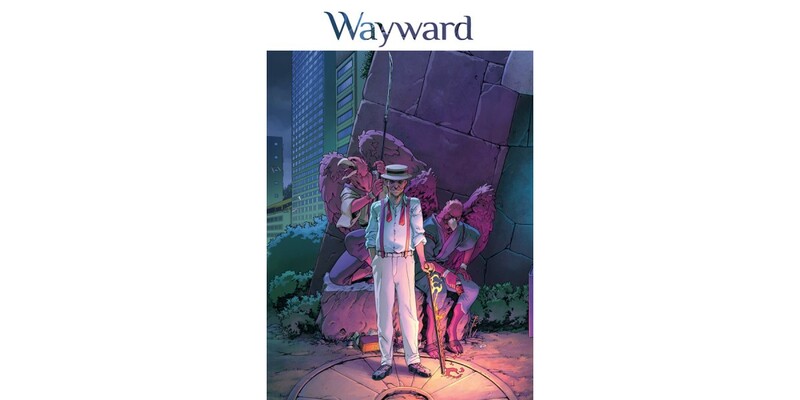 Writer Jim Zub (SKULLKICKERS) and artists Steven Cummings (THE DARKNESS, Gene Pool) and Tamra Bonvillain (RAT QUEENS, Black Dawn) will launch a new story arc in their spectacularly supernatural ongoing series WAYWARD this November. Cover A is part one of a five-part panoramic illustration—collect all five issues in this story arc to fit them into a massive WAYWARD illustration. "Our second story arc ended with massive revelations and the repercussions of those will ripple across Japan and beyond,” said Zub. “The supernatural forces that hunt our teens have been thrust out into the open and a clash between the old world and new will push Tokyo to the brink of disaster. It's big crazy stuff and I can't wait for readers to see what we have in store."